You force feed them some more. 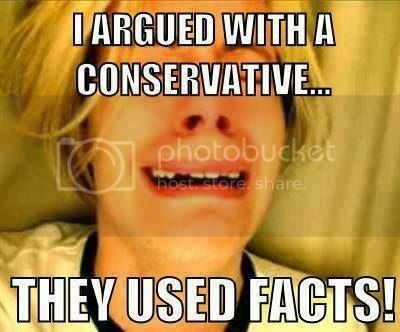 That's because some people actually look at facts. Something you should try some time. Plus, AlGore and the rest of the shills must feel the need to replenish their personal coffers with another fleecing of the weak-minded and guilt-riddled beta crowd! People stupid enough to pay for that beating deserve what they get...the rest of us can ridicule their bogus religion, laugh at their fleecing and beat their faces in with real facts! Another barrowed [ stolen, swipped, confiscated] whatever, I think it fits!!! Oh! I get to use one of 'Soup's new acronyms! I get so tired of this "oil company" canard. Hell, the oil companies are some of the most active participants in the alternative energy boondoggles. There's a reason they became big companies in the first place, it's because they can sniff out a dollar. In the modern marketplace, that generally involves ingratiating yourself with government agencies and taking generous subsidies for crap like offshore wind farms. There is something particularly infuriating about people whose only response to being challenged with contradictory information is to double and triple down on the original assertion. It would be nice if the GOP would ever even single down on an occasional issue.